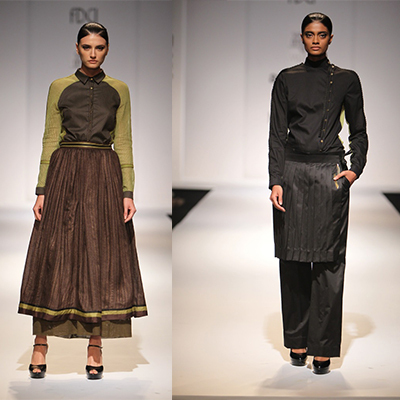 Amalraj Sengupta offered khadi shirts, silk saris and cotton twill jackets bringing out the chic in homegrown textiles. Utilitarian fashion is all set to rule the runway and our wardrobes with 431-88‘s clean line of separates as well as conceptual pieces in shades of grey. Sneha Arora filled our fashion appetite with delicious fruit prints and warm hues in the form of shift dresses, skirts and pants. 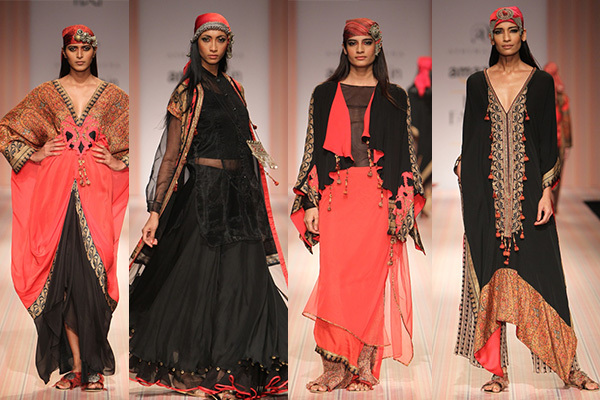 Ashima and Leena explored the gypsy sensibility though sensuous kaftans, Kashmiri headgears, paisleys and shell embellishments. Bringing a fitting end to the Amazon India Fashion Week was the Grand Finale that celebrated India Fashion Week’s 25th anniversary. For the first time in runway-finale history, 25 designers showcased one outfit each, representing the beautiful crafts of India. 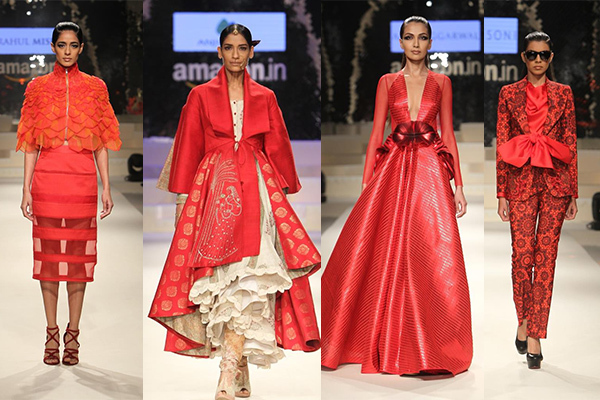 In case you missed it: Day 1, Day 2, Day 3 and Day 4 of Amazon India Fashion Week.